Neanderthals used a special technique to make their stone tools. This complex method – known as the Levallois – was used for more than 200,000 years! However, the long life of this technology has led to criticism. Some scientists argue the fact it didn’t changes meant the Neanderthals weren’t that good at innovation and invention. Yet the Neanderthals weren’t the only member of the human family to use the Levallois method. What’s more, they weren’t the only group to be using it for a very long time. Archaeologists have uncovered a site in the Nile where modern humans were making Levallois tools as recently as ~15,000 years ago. That’s almost 30,000 years after “better” technology had been invented elsewhere. Neanderthals made many stone tools using a special method called “Levallois” (after the part of France it was first found). Although we might be talking about these tools in the context of Neanderthals being dumb, don’t let that fool you. This technology was actually pretty difficult to make. The trick to making this sort of tool is you “prepare” the rock beforehand. Pieces are removed to make a convex “dome” in the shape you desire. Then this dome is removed, creating a tool in that shape. This way you can precisely control the end product. What’s more, the removal of one dome typically makes a ridge that forms another. So once you’ve done the initial setup you can just keep knocking pieces off, each removal “preparing” it for the next. Dozens of tools can quickly be removed from a single rock, following the method below. The criticism of the Neanderthals’ intelligence comes from the fact they were using this method to make tools for an awfully long period of time. In fact, their entire toolkit (known as the Mousterian) remained relatively stagnant for ~200,000 years. They refined the method and improved the quality of some tools, but for the most part they didn’t significantly alter them. This is despite the fact that the Neanderthals lived through all sorts of climate change. Even an ice age or two. Surely those should have motivated some technological change, if they were capable of it? Certainly modern humans – who also used some Levallois tools – dramatically changed their technology over this time period. Could all of this mean that the Neanderthals just weren’t that good at innovation? The tools which might change our view of Neanderthals comes from the Nile Valley, Sudan. The tools at this site look like you might have found them at a European Neanderthal site. They contain the Levallois flakes they were famous for, whilst missing out the blades modern humans were making at that time. However, whilst a Levallois site might be hundreds of thousands of years old; this location is barely more than 10,000 years old. To make things even more complicated there are locations only a few miles away where this isn’t the case. The inhabitants of these sites shifted to making blades and so their toolkit looks just like you’d expect for something this age. 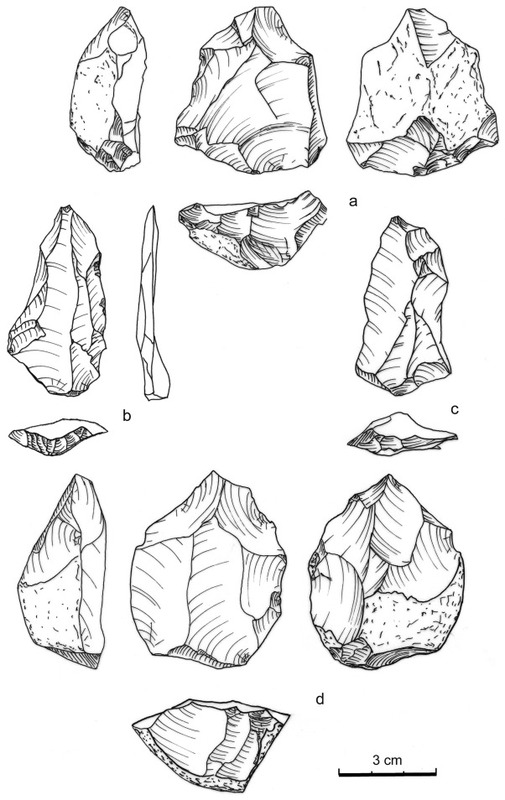 Why were humans making Levallois tools for so long? The archaeologists behind this discovery have some ideas, but a lack of data prevents them from forming a full hypothesis. The main factor they identify is that the environment they were in just might not have motivated them to change their technology. Although the environment overall changed a fair bit, these people were living in a nice forest region that would have shielded them from the worse of it. Other factors that could explain the persistence of the Levallois include the fact that many (but not all) nearby groups were using something similar. Could cultural osmosis be keeping these tools in play? Finally, they note that this could be a small and highly mobile group. Perhaps this influenced the rate of technological change? Basically, there’s no reason to suspect that these modern humans were any less intelligent than any other modern human. As such, should we also stop inferring that the Neanderthals were “dumb” for also using the Levallois? Well, some of the explanations for why humans were still making Levallois don’t apply to the Neanderthals. For example, whilst the group in the Nile may have been living in a nice sheltered environment the Neanderthals certainly weren’t. However, some of the others do apply to Neanderthals. Genetics, for example, reveals they were living in rather small, isolated groups. So this discovery doesn’t show the Neanderthals were smarty pants, but it does suggest we can’t dismiss their intelligence either (at least until we have a better idea of what was going at these other sites). Not unless we want to start claiming humans are also secretly dumb. An African site reveals that humans were making the Levallois for an awfully long time. Just like the Neanderthals. Perhaps this means we can’t use this factor to call them dumb, although a lack of data complicates the matter a touch. Bocquet-Appel, J. P., & Tuffreau, A. (2009). 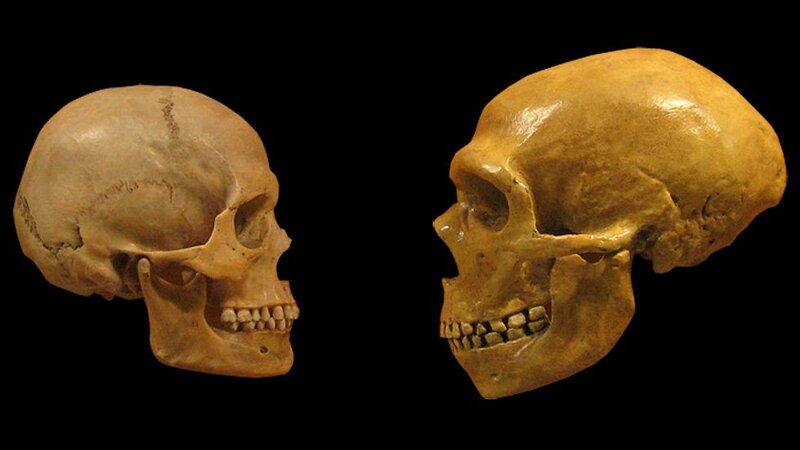 Technological responses of Neanderthals to macroclimatic variations (240,000-40,000 BP). Human Biology, 287-307. Osypiński, P., & Osypińska, M. (2015). Optimal adjustment or cultural backwardness? New data on the latest Levallois industries in the Nile Valley.Quaternary International. with different levels of development). Perhaps much more so in Africa than Europe. explain a phenomena like this. Genetic studies might clarify this ? I and others have found Levollois type tools in Alabama. The site I have found them is in northeastern Pike County. A much larger site is north of Dothan in Henry County. It has puzzled me. A highly regarded archeologist told me in a lengthy phone conversation that the tools we think appear to be Levollois are by products of a core reduction in the Paleo culture. These pieces clearly have been used rather than discarded. I suppose that I must defer to his expertise since I don’t have a degree in that field. The comment above that perhaps late surviving archaic hominids in Africa was one thought that had occurred to me also. It is entertaining to ponder the prospect of an archaic population living in North America or hanging on until 10,000 B.C. You seem to have stumbled on a recurring issue in the Palaeolithic: convergent evolution. There’re relatively few ways to successfully make a stone tool, so you often see the same technique being repeated millions of years apart. The same bifacial reduction strategy Homo erectus adopted is also used by some modern hunter-gatherers. As such, you have to be careful about drawing conclusions over the intelligence and species involved from such things.